Crushes are very common on the playground — but when it's not reciprocated, it can be heartbreaking for a young child. However, one fifth grader took matters into her own hands when her classmate wasn't taking her hints. In 2016, Zoe unknowingly schooled one boy, Noah, on consent when she wrote him a note with her "rules and regulations." Using a colorful array of markers, Zoe broke down the six simple rules she expected him to follow now that she made it clear she did not want to be his girlfriend. Thanks to a friend of Zoe's teacher's, we are able to see these "rules" and share with some grown-ups who still haven't learned how to talk to woman. "My friend who's a 5th grade teacher just sent this to me! I'm dead," Denver Jones tweeted before sharing Zoe's rules, which begin with "Do not touch my shoulder." That should be self-explanatory, but Zoe wanted Noah to realize that personal space is very important. Speaking of personal space, Zoe follows up that rule with, "Do not get behind me with all that playing and foolishness. (Do not get behind me at all)." You hear that Noah? Stay away from our girl. She does not want to see or hear you, as per rule No. 3 which reads, "Do not speak to me unless it's a greeting, which will never be." Rule No. 4 reminds Noah that these rules apply off the school yard as well. "Stop playing with me on the bus," she wrote before adding, "I have a short temper with people and you ruin my day because you play [too] much." Now, Zoe doesn't have to give a reason why she doesn't want to be bothered by Noah, but we're glad she did. And just in case Noah didn't understand any of the rules, the sixth item goes, "Reread 500 times." Yes, 500 times. So, why doesn't Zoe like Noah? 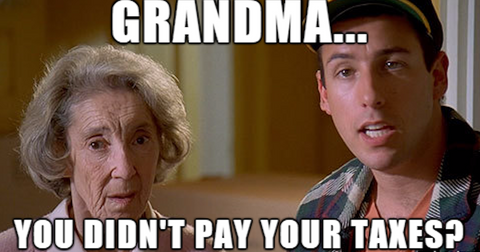 She explains all in her seventh and final rule. "You like me (as a GF) but I don't like you (as a BF) I'm [too0 young]," she added. And just in case Noah didn't get the message, she wrote, "If you break any of these rules I'm calling my dad, my mom's friend, my fake mom, and a janitor I know!" Bye, Noah. After going viral, women of all ages related with Zoe's rules — proving that laying down your boundaries is universal. "Zoe is my hero! She's got consent and boundaries down, communicates very clearly. No excuses, Noah," one Twitter user wrote. Another added, "10-year-old child exercising her right to bodily autonomy. Noah (and other boys) should take note and respect her wishes!" A third chimed in, "Her strict rules are good. They aren't even strict rules, they are just this girl expressing her freedom of choice. She should definitely never have to a janitor! Hopefully one day he'll stop playing so much." Preach. Two years later, it seems consent is still something young men are "struggling" to understand. High schooler Emma Thatcher shared her two cents on the issue, tweeting, "Hello, female high school student here. 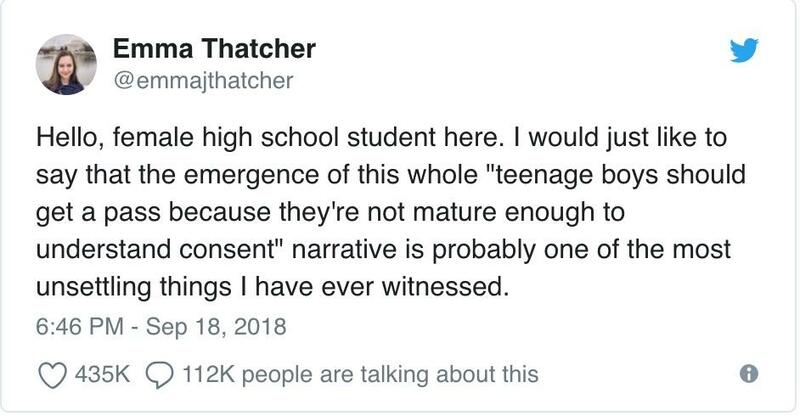 I would just like to say that the emergence of this whole 'teenage boys should get a pass because they're not mature enough to understand consent' narrative is probably one of the most unsettling things I have ever witnessed."